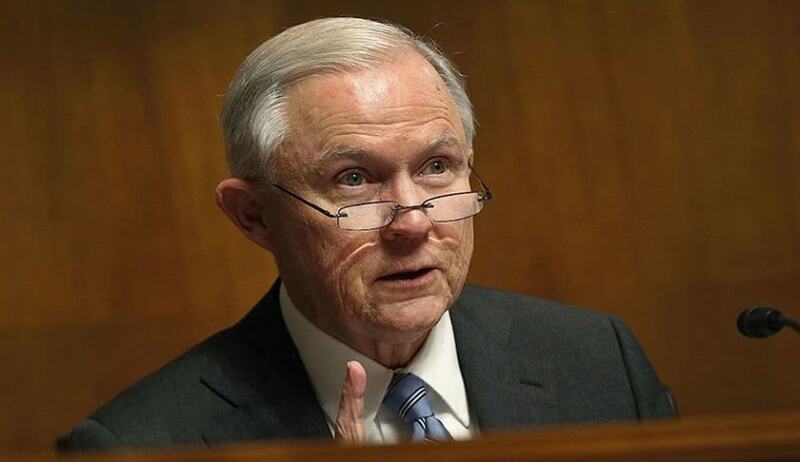 U.S. Attorney General Jeff Sessions on Monday refused asylum to a woman from El Salvador who had been "physically, emotionally and sexually" by her ex-husband. "Generally, claims by aliens pertaining to domestic violence or gang violence perpetrated by non-governmental actors will not qualify for asylum. While I do not decide that violence inflicted by non-governmental actors may never serve as the basis for an asylum or withholding application based on membership in a particular social group, in practice such claims are unlikely to satisfy the statutory grounds for proving group persecution that the government is unable or unwilling to address. The mere fact that a country may have problems effectively policing certain crimes—such as domestic violence or gang violence—or that certain populations are more likely to be victims of crime, cannot itself establish an asylum claim," the order read. Activists claim that at least 10,000 people per year are granted asylum in the US on the basis of domestic abuse and gang violence in their home countries. The ruling is, in fact, being viewed as a part of a larger effort by the Trump administration to place restrictions on immigration under the Immigration and Nationality Act, 1965. The case revolved around a woman– known only as 'A.B.,' her initials – was apprehended in 2014 and claimed asylum based on her membership in the purported particular social group of "El Salvadoran women who are unable to leave their domestic relationships where they have children in common" with their partners. In December, 2015, she was denied asylum by the immigration Judge, majorly on four grounds: a. she was not credible; b. the group in which she claimed membership did not qualify as a "particular social group" under the Act; c. even if it did, she had failed to establish that her membership in the social group was the central reason for her persecution; and d. she had failed to show that the El Salvadoran government was unable or unwilling to help her. This decision was reversed by the Board of Immigration Appeals, which found the immigration judge’s adverse credibility determinations "clearly erroneous". The Board had remanded the case with an order to grant her asylum after completion of background checks. However, in August last year, the immigration judge returned the matter to the Board, noting that several courts of appeals had recently held that domestic violence victims failed to prove their entitlement to asylum based on membership in particular social groups. Thereafter, with an aim of settling the law on the subject, the AG directed the Board to refer the matter to him for review in March this year. The question posed before him was: Whether, and under what circumstances, being a victim of private criminal activity constitutes persecution on account of membership in a particular social group? Member of a "particular social group"
The AG began by tracing the evolution of the phrase "particular social group" over the years, and opined that particular social group definitions that seek to define a narrow class, such as that in the present case, "will often lack sufficient social distinction to be cognizable as a distinct social group, rather than a description of individuals sharing certain traits or experiences". He asserted that a particular social group must avoid being too broad to have definable boundaries and too narrow to have larger significance in the society. The AG noted that in order to establish persecution on account of membership in a "particular social group", the application must demonstrate: a. membership in a group, which is composed of members who share a common immutable characteristic, is defined with particularity, and is socially distinct within the society in question; and b. that membership in the group is a central reason for her persecution. Besides, when the alleged persecutor is someone unaffiliated with the government, the applicant must also show that her home government is unwilling or unable to protect her. Averting to the facts of the case, he went on to opine that the Board could not have indulged in fact-finding in the Appeal before it, and that it could not have substituted its own view of the evidence on Appeal. He further noted with approval the immigration judge's finding that the woman could have moved away from her ex-husband and could have obtained from the El Salvadoran government multiple protective orders against him. ... The persistence of domestic violence in El Salvador, however, does not establish that El Salvador was unable or unwilling to protect A-B- from her husband, any more than the persistence of domestic violence in the United States means that our government is unwilling or unable to protect victims of domestic violence." An asylum applicant has the burden of showing her eligibility for asylum. The applicant must present facts that establish each element of the standard, and the asylum officer, immigration judge, or the Board has the duty to determine whether those facts satisfy all of those elements. To be cognizable, a particular social group must exist independently of the harm asserted in an application for asylum. An applicant seeking to establish persecution based on violent conduct of a private actor must show more than the government’s difficulty controlling private behavior. The applicant must show that the government condoned the private actions or demonstrated an inability to protect the victims. An applicant seeking asylum based on membership in a particular social group must clearly indicate on the record the exact delineation of any proposed particular social group. The Board, immigration judges, and all asylum officers must consider, consistent with the regulations, whether internal relocation in the alien’s home country presents a reasonable alternative before granting asylum. Finally, he opined that there existed alternative proper and legal channels for seeking admission to the United States, observing, "Aliens seeking an improved quality of life should seek legal work authorization and residency status, instead of illegally entering the United States and claiming asylum." The AG, however, clarified that in reaching these conclusions, he did not intend to "minimize the vile abuse that the respondent reported she suffered at the hands of her ex-husband or the harrowing experiences of many other victims of domestic violence around the world". He asserted that he understood that many victims of domestic violence may seek to flee from their home countries. He, however, reiterated that "asylum statute is not a general hardship statute" and that the Act does not support the suggestion that Congress intended "membership in a particular social group" to be "some omnibus catch-all" for solving every "heart-rending situation."